You’ve dreamed of becoming a doctor and now it’s becoming a reality. But what’s also a reality is the high cost of medical school. 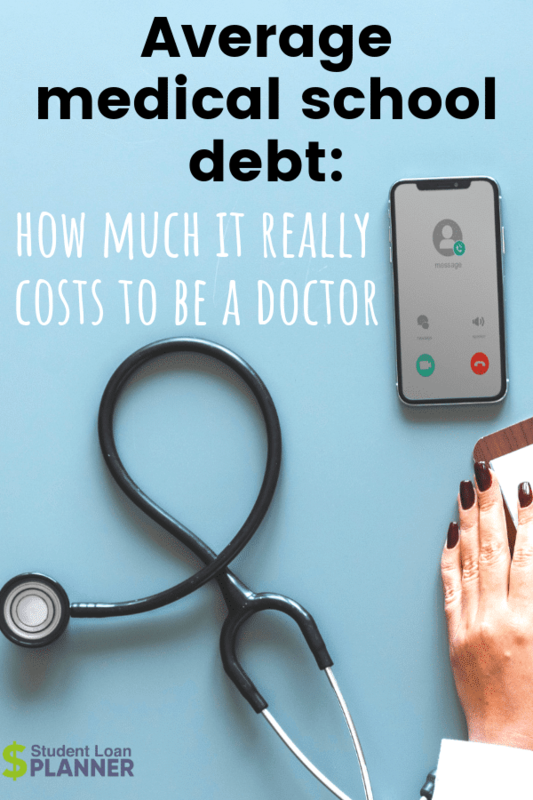 It’s easy to think that landing a well-paying job takes care of the debt you incurred, but for many doctors, it’s not simple at all. Tuition is just the beginning of school costs that med students face. For example, Johns Hopkins University is consistently ranked as one of the top medical schools in the country. For the 2018-2019 school year, tuition is $53,400. After adding in various fees, insurance, and other expenses, a med school student at Johns Hopkins is paying over $78,000 annually. Here’s more on what to expect when pursuing this educational path and the average medical school debt you might face. There’s no way around it – medical school is expensive. Some schools cost more than others, but all of them have relatively high costs. Not only does medical school come with a premium price tag, but costs are increasing every year which might continue into the near future. The charts below are based on tuition data gathered by the AAMC for public versus private medical schools between the 2012-2013 and 2018-2019 school years. Costs like tuition, fees and health insurance were factors for the average cost, and the charts are also broken down to show resident and non-resident costs. Looking at the data above, you can see there’s been a significant increase in medical school costs since 2012. These increases have been drastic regardless of the type of school you attend or whether you’re a resident of your school’s state. Public school in-state residents saw a 21.74% increase in average cost to attend medical school, while non-resident students enrolled in a public institution experienced a 14.95% increase. This upward pattern continues among private medicals schools as residents faced a 22.33% cost increase and non-resident private school students were hit with a 21.2% lift over the same time period. Some of this increase is due to inflation. This could also be partially due to the availability of Public Service Loan Forgiveness (PSLF) for doctors. As more doctors choose to take advantage of PSLF, schools realize they can raise tuition rates without a drop in admission. On top of tuition, schools charge fees for just about anything, including orientation fees, activity fees, parking fees, graduation fees, fees for specific types of payments, lab fees and more. With rising school costs, it is nearly impossible to graduate from medical school without large amounts of student loan debt. According to the AAMC’s 2018 Education Debt Manager report, 75 percent of 2017 graduating students had student loan debt. These students had an average medical school debt of $190,000 in 2017. What’s more, graduates attending private medical schools in 2017 averaged over $206,000 total student loan debt. Let’s say you graduated from a private medical school with $206,000 in total student loan debt. If your interest rate was set at six percent on a standard 10-year repayment plan, your monthly payments would end up being $2,287. The total amount of interest you would end up paying on your loans would be $68,443. In the end, your total repayment would be $274,443. While doctors can make a great living, especially within certain specialties of medicine, this much student loan debt will be difficult to pay off. What’s the average physician salary? The medical profession has always been viewed as being one that is well paid. According to Medscape’s 2017 Physician Compensation Report, the average patient care physician’s salary was $294,000 (including salary, bonuses, and profit-sharing contributions). Specialists averaged an annual salary of $316,000 while primary care physicians averaged $217,000. It would be easy for the average person to assume that because doctors have higher salaries than other professions that they can afford larger amounts of student loan debt. Doctors are like anyone else, though, and have expenses that make paying off student loan debt difficult. Having a large student loan debt also means doctors are paying more interest than the average college graduate. Massive student loan debt not only is hard to pay off, but it also can delay important life goals like buying a home, getting married, and starting a family. The good news for you is that, although medical school usually means large student loan debt, there are many ways to manage paying it off. Here are some options to consider. Through Public Service Loan Forgiveness, borrowers can have their remaining student loan balance forgiven after 120 qualifying payments (which don’t have to be consecutive). Technically, a standard 10-year repayment plan qualifies for PSLF, but if you actually stay with that plan for the full 10 years, there will be very little or no debt left to forgive. The PSLF option for doctors can be advantageous for borrowers with large amounts of student loan debt. 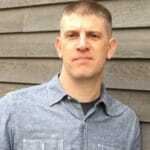 There are many details to the program that can be confusing, but it’s a smart first step to explore if you’re willing to meet the program’s conditions. If you aren’t interested in working for a public or nonprofit employer to be eligible for PSLF, there’s another loan forgiveness path available. To do this you need to sign up for one of the four eligible income-driven repayment plans and make monthly payment for 20 to 25 years, depending on which plan you choose. Any remaining student loan debt after that time is forgiven. All of these IDR programs carry certain tax implications so make sure to spend time researching each program carefully before making a decision. Beyond PSLF and waiting 20-plus years for loan forgiveness, other scholarships and student loan forgiveness options for physicians are available. From national programs like the ones through the National Health Service Corps,to various state-based loan repayment assistance programs, you can find information on these student loan repayment programs the AAMC website. If you have student loans through a private lender, you can potentially lower your student loan payments and pay off student loan debt faster by refinancing your student loans. Doing this could lower your student loan payments and your interest rate, saving you thousands of dollars in interest over time. When refinancing your loans, your new repayment terms and interest rate are dependent on factors like your credit history, current salary, and your debt-to-income ratio (your ratio of monthly debt, like student loans, credit cards, rent or mortgage, compared to your monthly income). If you don’t have good enough credit, you may need a cosigner with excellent credit in order to qualify for student loan refinancing. However, it’s important to determine whether you’re able to make your payments on time and in full before involving a cosigner as that person will be financially on the hook for your loan, if you go into default. With average medical school debt continuing to climb, the path you choose to pay off your debt is one of the biggest financial decisions you’ll face as a doctor, but we at Student Loan Planner are here to help. If you need guidance figuring out the right loan repayment choices for your situation, be sure to book your student loan consult today. It takes a lot of work and money to become a doctor. Do you feel the salary you’re making worth all the ivestment and effort you put in?